If you've ever noticed your pants feeling a little bit tighter, or your shirt becoming more snug around your stomach, chances are you're gaining weight. Although minor fluctuations of 1 to 2 pounds per day are normal in most people, a consistent rise in weight for an extended period of time is a cause for concern. Physical Imbalance: stored toxins in our digestive tract can drain our energy and cause us to eat stimulating foods such as sugar that can lead to weight gain. Nutritional Imbalance: eating foods that don't provide the body with the essential nutrients that it needs to function optimally. Mental and Emotional Imbalance: indulging in excess food is often used to overcome uncomfortable feelings in our daily lives, such as stress and anxiety. By correcting these imbalances, researchers believe that we can naturally make better food choices that can prevent us from gaining weight. Unfortunately, most methods of losing weight include the use of drugs or surgery that decrease our appetite, block fat absorption, or reduce the volume of our stomach. However, all of these treatments can have serious side-effects. Fortunately a set of simple home remedies and natural foods can help us achieve this balance and even promote weight loss, without the negative side effects. A genetic predisposition to store excess calories as fat. Dieting, which slows our metabolism since the body thinks it is starving, causing us to easily gain weight when we begin eating again. Medications, such as birth control pills or anti-depressants, are known to cause weight gain. Fluid retention, which can be caused by heart, liver, or kidney disease. This sort of weight gain requires the attention of a doctor. Mix 2 teaspoons of organic apple cider vinegar to 16 oz. of water. Take a few sips of this mixture throughout the day (don't drink it all at once). Similar to Apple Cider Vinegar, Evening Primrose Oil can help stimulate our metabolism and cause our body to burn more calories. Therefore, a simple remedy to promote weight loss is to take a capsule of Evening Primrose Oil once per day followed by a daily 20-minute cardiovascular exercise routine. Research has found that the combination of Green Tea and Caffeine can help to boost our metabolism as well as help to suppress our appetites. Therefore, an effective remedy for weight loss is to take a Green Tea supplement which contains 50mg of Caffeine and 90mg of EGCG (the active ingredient in Green Tea) three times per day (once before each meal). Combine this with a 30-minute exercise routine three times per week (10 minutes of light weights followed by 20 minutes of cardio). There is some evidence that suggests individuals can lose up to 2.5 pounds per week using this combination of exercise and supplements. A daily fruit smoothie for breakfast is a fantastic way to restore balance and promote weight loss. By choosing the right ingredients, you can easily create a drink which provides a total infusion of essential vitamins, minerals, fiber, protein, and fatty acids that also tastes delicious and prevents food cravings. Feel free to experiment with the proportions, or add any additional fruits, juices, or other nutrient-rich ingredients. One of the best ways to promote weight loss is by becoming active and exercising for at least 30 minutes per day. Brisk walking, jogging, biking, or using indoor machines such as elliptical bikes are excellent ways to burn off excess calories. Adding some weight training to your exercise routine is also highly recommended, since increasing muscle mass helps to increase our metabolism, which allows us to burn more calories while we are at rest. Regular exercise also helps to reduce stress and depression, which are both common causes of weight gain. Note: if you have not exercised regularly for a while, it is best to consult your doctor before beginning a new training program. A new web-based weight loss program called the Fat Burning Furnace offers a diet plan, coaching program, and exercise routine that only requires 45 minutes per week. The author claims to have personally lost 42 pounds using these techniques, so it might be worth checking out. Click here to find out more about this weight loss program. These 5 natural foods can help boost your metabolism and promote weight loss. Treat this common lumpy skin condition using natural remedies. Learn how to adjust your workout routine for optimal results. Have an exercise routine and eat healthy diet. Eat more fruits and vegetables than sugar and breads, it will help you lose weight. Hi, please help! I have my wedding in 2 days. I need to lose 20 kg in 2 days. Please tell me some remedies, thanks! Really helpful article! No doubt, losing weight naturally is the best option rather than using all those expensive products like fat burning gels and creams. Keep posting such informative articles! There are many weight loss products available online these days, so it's very tough to choose right products. 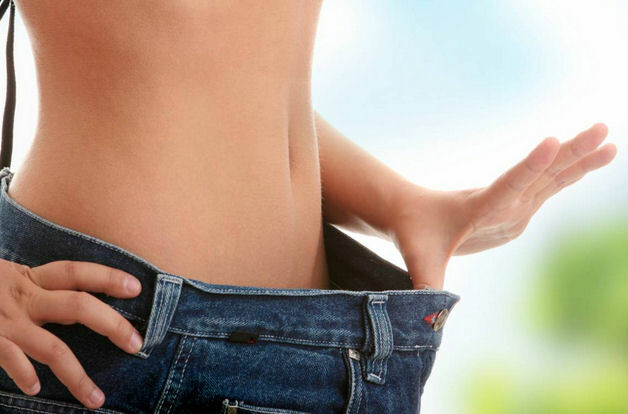 Many people have found Garcinia Cambogia is among the popular weight loss products, if you take it under proper guidance then you will definitely lose your weight. I have hypoglycemia and have had a full hysterectomy. I am 46, and have tried everything to lose the weight I gained after the surgery. I have never weighed this much until now, and when I try to diet, I end up gaining more weight. Is there something I can try? Help please. Hi there, I hate exercises. Please can you recommend me some kind of home remedy for weight loss? Precilla, try doing planks or a cardio workout in addition to your 30 minute walk session. And incorporate more greens, and protein in your diet and reduce and preferably take out carbs and sugar. Also to boost your metabolism you may try taking Forskolin supplement or drinking 1 tsp of organic Apple Cider Vinegar mixed in a glass of water may help. Hi, I am 23 years old and weigh 68 kg. I need to lose weight. I am drinking lemon juice and go on a 30 minutes walk daily but it is not helping. What should I do? Please suggest me some other weight loss plan or pills. Thanks. As a personal trainer and dietician I suggest trying a high protein, low carb and no sugar diet. The most common cause of weight gain is consuming too much fat and not doing enough exercise to burn off the excess calories.